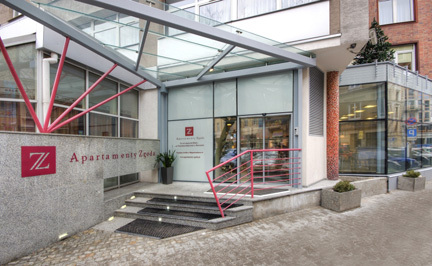 Zgoda suites are aparthotel located in the center of Warsaw, 2 minutes away from the center of Warsaw, 2 minutes away from the Palace of Culture and Science, 1 min away from National Philharmony, 10 minutes away from Warsaw Central Railway Station and 20 minutes away from the International airport. 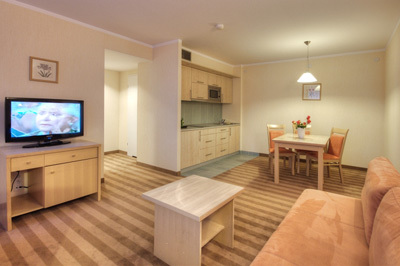 All air conditioned rooms and double suites are equipped and furnished in modern, comfortable and functional way. The living room enables ideal conditions for rest and work and you will be provided with all you need in kitchen anex. Tea, coffee and water are provided on the arrival day. The picturesque view from the windows of the suites is at the Palace of Culture and Science, additional advantage. Our building combines hotel services with homely atmosphere and is recommendable both on short and longer stays. There is a conference room available for 12 people providing internet and laptop. 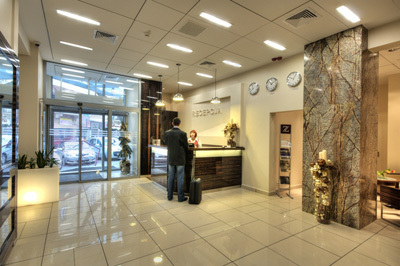 Additional facilities include:whole day reception, monitoring with security, cleaning, laundry (free of charge), laundry services, safe/deposit, luggage storage, wake up calls, copy, fax, ordering tickets to cinema, theater, etc. We ensure medical treatments in emergency. 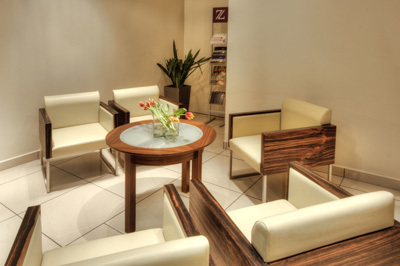 Zgoda suites are a good choice for: "Your home when you are in Warsaw"
Aparthotel Zgoda are a good choice for: "Your home when you are in Warsaw" There are 45 spacy double suites (32-49m2) (bedroom and salon with fully equipped kitchen annex) as well as 6 double rooms of 23 m2. 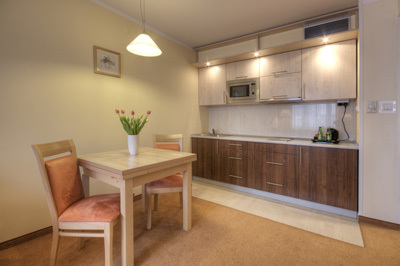 Our offer includes: STUDIO, STANDARD, KOMFORT nad SUPERIORS (which also have new interiors, higher quality of bedshhets, TV in bedroom, safe, ironing desk, welcome set-coffee-tea, 3 types of tea, mineral water, more bathroom facilities:wardobe, shoes, etc.,). The suites and TWIN type rooms are comfortably equipped, air conditioned and have TV Sat, telephone, wireless internet (LAN). 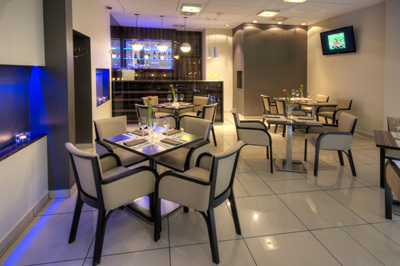 Aparthotel Zgoda invites you to the restaurant where you can enjoy Polish and European cuisine. The breakfast is served in the form of Swedish table. 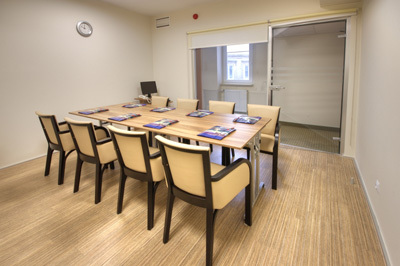 The hotel has 1 air-conditioned conference room for up to 12 persons. The room is equipped in flipchart, overhead projector, TV with video recorder.